In 1992, the Taxpayer’s Bill of Rights (TABOR) Amendment was adopted by Colorado voters to limit government growth and to put Coloradans in control of tax and debt increases. Under TABOR, the state and local government cannot raise taxes or increase the debt without voter approval. TABOR is unique to Colorado. Currently, no other state in the union has a Taxpayer’s Bill of Rights. There are important reasons why TABOR is not only justifiable, but necessary. More Democratic – Referendums are a more democratic way to make decisions on government spending. When it comes to raising taxes or increasing the debt, voters, not legislators—who may be beholden to outside interests—should have the final say. After all, taxpayers are ultimately the ones on the hook for tabs run up by the state. Remember the whole “No taxation without representation” thing? This is about the consent of the governed, a principle so important… it sparked the U.S. Revolution. The Mesa County Republican Party is inviting the public to come to a free presentation on the Taxpayer’s Bill of Rights, delivered by conservative think-tank leader Jon Caldara on March 27. Caldara, the president of the Denver-based Independence Institute, is a proponent of limited government and plans to speak in favor of keeping TABOR intact, despite talk from both sides of the political aisle recently about tweaking the formula that limits government spending and requires taxpayer consent to use funds in excess of spending limits. TABOR was voted into the Colorado Constitution 26 years ago, and the original intent of the law was to limit government growth and require taxpayers to approve tax-rate increases. Critics have said the ratcheting effect TABOR has on spending has prevented governments from recovering from leaner times, especially in local governments that depend on property taxes for funding when those property valuations decrease. 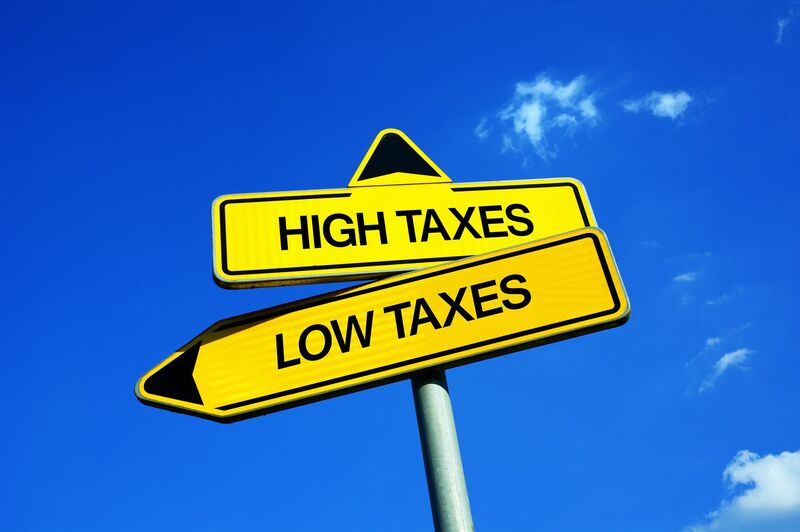 Colorado’s Taxpayer’s Bill of Rights (TABOR) was in demand at the 44th Annual American Legislative Exchange Council (ALEC) meeting held at the Hyatt Convention Center in Denver at the end of July. The TABOR Committee board of directors and friends presented the case (in a three hour workshop session) showing other states how to adopt measures similar to TABOR. TABOR Committee Chairman Penn Pfiffner also addressed approximately 60 legislators and staff at a special session on July 28th concerning the importance of TABOR-like efforts in their own states. TABOR is a Colorado constitution protection (approved by the voters of Colorado in 1992) that restrains tax increases to not greater than the sum of population growth and the rate of inflation without a vote of the people. It is the gold standard for all 50 states regarding sound fiscal responsibility. It protects the citizen’s right to be heard on tax increases that otherwise would not be subject to voter approval. It was because of TABOR that Colorado voters had the opportunity to recently reject two very large tax increases in Colorado. Amendment 66, a $1 billion tax increase proposal in 2013, and Amendment 69, a $25 billion tax increase proposal in 2016, were both soundly defeated at the ballot box by more than 60% of Colorado voters. TABOR made those votes possible. The American Legislative Exchange Council is a nonprofit organization of conservative state legislators and private sector representatives who draft and share model state-level legislation for distribution among state governments in the United States. ALEC provides a forum for state legislators and private sector members to collaborate on model bills—draft legislation that members may customize and introduce for debate in their own state legislatures. The ALEC annual meeting included keynote presentations by former US Speaker Newt Gingrich, Education Secretary Betsy DeVos, Colorado Congressman Ken Buck, Kentucky Governor Matthew Bevin, and other national leaders. Please visit www.thetaborfoundation.org to learn more about TABOR and how you can help protect Colorado voter’s right to be heard. 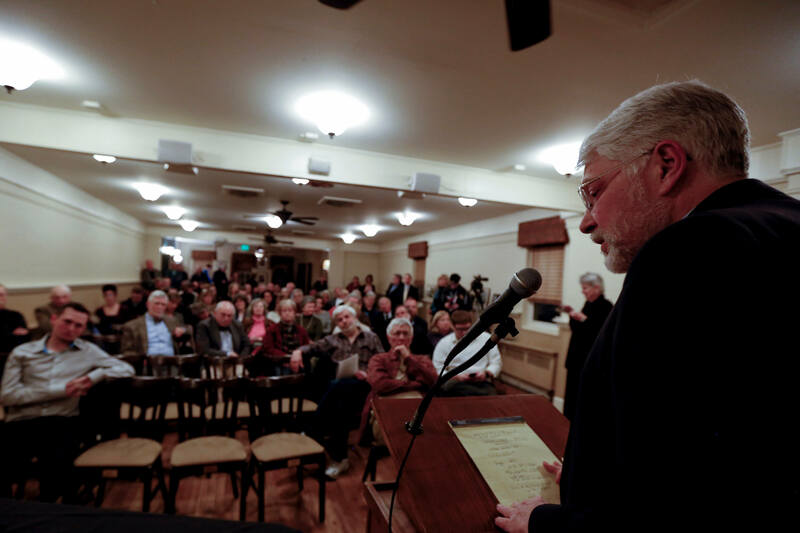 Taxpayers Bill of Rights foundation member Penn R. Pfiffner discusses TABOR at the event “Social Perspectives: conversation, debate and understanding.” The event was held by the Denver Post at the Denver Press Club on Feb. 28. Kristi Hargrove voted for Donald Trump in the last election. From Crested Butte, which she calls a liberal town, she identifies as a proud Republican. However, when Hargrove went to work on a student directory for her P.T.A., she had trouble because her fingers were freezing. After confronting the principle, she found out the school had turned down the utilities. As noted earlier the establishment plan is to put a de-TABOR measure on this November’s ballot. On Monday, July 18 (starting at 7 pm) there will be a “study session” regarding TABOR (and Council policies & procedures – not sure what they are up to on that). Citizen comments WILL be permitted. Don’t know the specifics of how that will work but I suggest we use this opportunity to demonstrate to Council it is a good idea to have citizens more involved in all study sessions (see my message on study session reform). I suggest we have a good turnout. The anti-TABOR side has been alerted and will be there in full force. A Public Comment Roster is available immediately inside the Council Chambers. after signing the roster. Speakers should limit their comments to three minutes.